This isn’t supposed to be an all-star team, but one that has role players that would fit on a typical roster. In addition, since I have a pet peeve about assigned jersey numbers, I also gave each player their jersey number or one that closely corresponded to what they wore on camera. 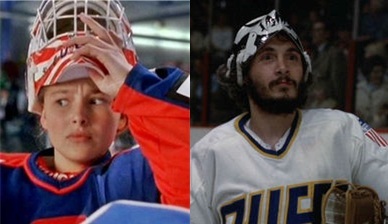 Oddly enough most hockey movies recycle the same numbers for specific roles. Owner: Mr. Ducksworth: He’s stubborn and probably a little corrupt. But he has deep pockets and likes to win. That sounds like the kind of owner I want. Advisor/President: Mr Tibbles: Despite the fact that he can’t skate and is more of a business guy, he put together a hell of a team in D2. His connections with Hendrix Hockey would be key in terms of corporate sponsors, too. GM: Joe McGrath: I fear that he may be too much of a pennypincher to be a great GM, however, he knows how to maximize his PR and is able to find value on the trade market. Keep in mind that he didn’t appear to have lost any players when acquiring the Hanson Brothers. That is a three-for-zero swap. Coach: Walter Burns: This may be a surprise but I like Burns behind my bench. He’s a stoic disciplinarian that expects the most out of his players and knows how to get it out of them. He did a hell of a job in his coaching debut and he obviously has the chops to work long term. 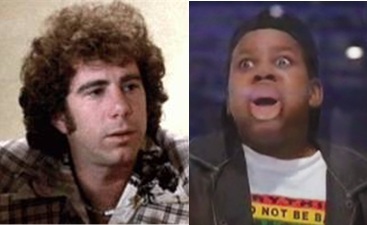 Assistant Coaches: Reg Dunlop & Ted Orion: Dunlop is an easy choice here. He likes to grind it out and isn’t afraid to have his boys play dirty. Orion mirrors Burns in a lot of ways. He likes the two-way game and expects a lot out of his players. This is a dream team coaching staff. Equipment Managers: Jan and Hans: Easy picks. They sharpen skates like no ones business. Trainer: Charlie Kischel: Name three other trainers who could stich up Killer Carlson on the bench. #33 Julie “The Cat” Gaffney: Gaffney gets the nod as my starter simply because she has had the most success of most movie goalies out there. She has a quick glove hand and only ever got lit up in D3 when Goldberg had pumped her full of calories. She can be counted on in big moments and is an easy pick as my starter. Number note: She wears #6 in the movies but no goalie in my organization will wear #6. Three plus three equals six, therefore #33 will suffice. #1 Denis Lemieux: Lemieux is a solid backup. He needs some goal support to be effective, but when your team is scoring he can be counted on. He’s a stereotypical goalie with his quirks and odd demands but I know he is a backup you could put in net on a regular basis and be comfortable with the results. #4 Tree Lane: Tree is a big, stay-at-home defenseman who will be the cornerstone of my blueline corps. He had the size to hang with the Rangers when they rolled into Mystery and has adequate mobility due to the pond hockey played by the Mystery boys. Number note: Tree is one of many who sports #3in his movie. Four seems like a good fit for this big stalwart. 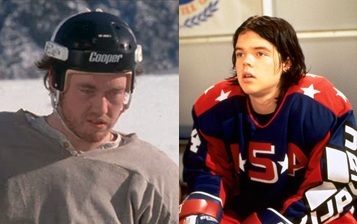 #44 Fulton Reed: It’s hard to say if Fulton is actually a defenseman, but an alarming trait in most hockey movies is the utter lack of key characters on the blueline. Regardless, Reed lines up as a defenseman more than once throughout the Mighty Ducks series and his booming slapshot makes him an asset on the backend. He also has great size, which makes him an ideal partner for Tree. #22 Ben Winekta, #55 Galin Winetka: Ben and his brother Galina make the roster for a couple of reasons. First, they share all of the Mystery Boys’ skating prowess. Second, their brotherly bond should give them a Sedin-like chemistry along the blueline. Number note: I’m not sure of their exact numbers in the film, but mirroring the Sedins (in a way) with #22 and #55 seemed to make sense. #6 Dave “Killer” Carlson: Killer may not be the most skilled defenseman but he’s a stand up guy and isn’t afraid to muck it up. His fighting improved as the season progressed in Charleston and he’s a great fit as a fifth or sixth defenseman. Number note: Killer wears #3 in Slapshot, as did three others on this roster. Doubling his original keeps him close to his first choice. #56 Russ Tyler: A powerplay specialist, Tyler shares a few on-ice traits with PK Subban. He talks a lot of trash and has a wicked shot from the point. While his skating may leave something to be desired, he is a guy who can chip in some even strength minutes but take a seat in the press box if you need a more defensive lineup. #12 Johnny Upton: Upton is my sixth defenseman and makes the roster due to his leadership skills (wore the C in Slapshot) and his propensity to be more of a stay-at-home player. He’s not too flashy or skilled, but he could step in for Russ Tyler and form a nice, steady pairing with Killer Carlson. Plus, his antics could keep McGrath’s PR schemes to a minimum. #9 Gunner Stahl: A big, right handed shooter who could wreak havoc steaming down the left wing on my top line. Stahl is fancy and likes to pick corners but he is a scoring dynamo who would be a force to be reckoned with on a nightly basis. #99 Adam Banks: It takes balls to sport 99 in any hockey situation, but Banks has the skillset to justify his choice in number. Not only can Adam Banks play a flashy one-man game, he is also a skilled enough playmaker to compliment Stahl and his other winger well. #66 Gordon Bombay (A): Bombay appeared as a player and coach in the Mighty Ducks films but Basil McRae vouched for his skills and got him into the minors. He is a bit undersized, but can dish and finish. I want the player version of Bombay to round out my ultra-skilled top line. #11 Stevie Weeks: The youngest player on the team, Weeks has blazing speed thanks to skating the river and a solid set of hands. He may not be a pure scorer and is a little quick on the trigger at times, but his speed and vision make him a terrific set-up man. #7 Connor Banks: Banks is one of two Mystery boys to get a contract offer from the Rangers. The town grocer has silky smooth hands and can finish like no one’s business. Pairing him up with a hometown boy like Stevie Weeks should bring out Banks’ skillset. Number note: Banks wears nine in Mystery, Alaska and seven is close enough and a favorite among skill players. #10 Ned Braden: College educated, Braden is just as much of a pure scorer as Gunner Stahl. He doesn’t like getting his nose dirty but he will get his job done no matter what. He’s not going to goon it up for you, but he’ll score enough that it won’t really matter. 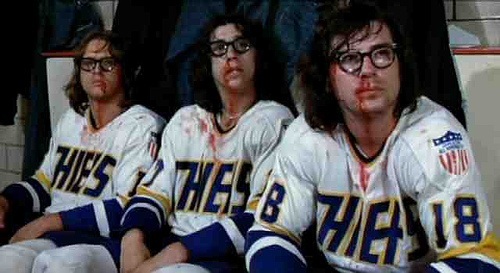 #16 Jeff Hanson, #17 Steve Hanson, #18 Jack Hanson: The Hanson Brothers are a mainstay on any movie derived roster. A prototypical grind line, the three brothers can chip in the odd goal while also hospitalizing the opponents’ top players. These three play with plenty of grit and would serve as a nuclear deterrent for any teams taking runs at the top two lines. #21 Dean Portman: Portman was a late addition but fits well on a fourth line role. He’s a north-south player who brings a ton of sandpaper to the lineup. He can play the game a bit too as he serves more as a physical grinder than a typical goon. He may not be an every-game option should more offense be needed in the lineup. #96 Charlie Conway (C): The last player to make my team, Conway developed a solid skillset with the Ducks and evolved into the consummate leader by the time he reached prep school. He’s a great leader who will wear the C for me and found his two-way game under Coach Orion. Having his prep school coach on staff will make Conway a terrific role player here. #29 Derek Sutton (A): Kind of a low role for such a skilled player to fill, but Sutton plays a crash-and-bang style that compliments his offensive skillset. He wore a letter in junior and will wear one here. Depending on who is dressing, Sutton could play wing or at pivot and compliment the speed and talent on his line or provide additional grit. 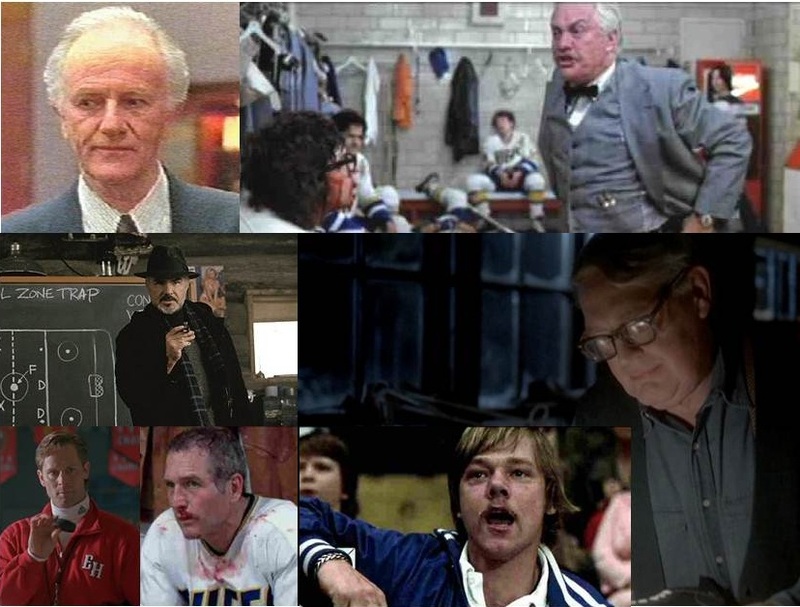 Number note: Sutton gets #29 as he was one of many to wear #9 in their respective films. #20 Brian “Birdie” Burns: The first extra forward, Burns is a coaches player who is always trying to meet the expectations of his bench boss. He can chip in offensively and can add speed to the lineup (stepping in for Portman) depending on what kind of roster you want to ice on a nightly basis. #3 Ross “The Boss” Rhea: Of all the movie Goons, Rhea is the one I want. Not only did Leiv Schreiber knock this performance out of the park, but Rhea can play the game a little bit when needed. He wouldn’t dress every night but could form a scary fourth line with Portman and Sutton if a rival was in town.